Microsoft Office 365 has fantastic security features that are built-in to the subscription-based Microsoft Office Suite. From remote wipe capabilities that can clear Microsoft Office data (including exchange emails) from a smartphone, tablet, or laptop that has been stolen to privacy controls, to even industry compliance – Microsoft Office 365 has layers of security options to keep business information secure. One option that users can add to their Microsoft Office 365 subscription is the Office 365 Message Encryption (OME). OME is a service built of Azure Rights Management that encrypts emails that are sent through Microsoft Office 365, Exchange Online. Not only can users send encrypted emails to other users on the same email domain, but OME allows for encrypted messages outside of the organization, regardless of the recipients email address. 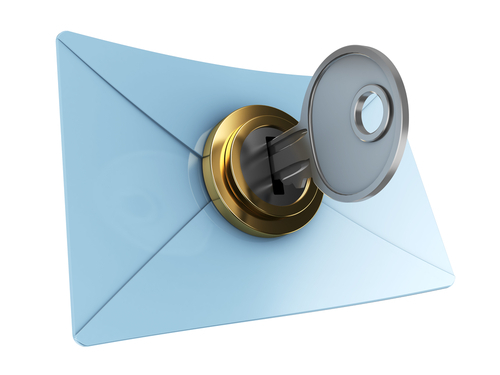 This means users can send encrypted email to addresses from Gmail, Yahoo! Mail, and Outlook.com mail. Admins configure the rules that define conditions for encryption. If an Office 365 subscriber sends an email that matches the parameters configured by the admin, the encryption is automatically applied. So instead of having to manually select encryption on each individual email sent (which people can forget to do), the message is automatically encrypted based on the content and if it matches the rules established by the administrator. On the other end, the recipient gets an encrypted message with and HTML attachment. After opening the attachment, the recipient is taken to a secured viewing portal where they are given a one-time password (that expires within 15 minutes). Other options include logging in with a Microsoft account, or signing in with either a school or business account that is managed through Office 365. The best part is the recipients are able to send replies that also get encrypted, without having to have their own Office 365 subscription! Up until the end of 2014, OME required that the recipient log into a Microsoft account in order to access an encrypted email. However, a lot of individuals out there use other email accounts such as Gmail or Yahoo! Mail. In response to this, Microsoft launched new features in the fall of 2014 that sends the receiver a one-time passcode. Plus Microsoft both manages and securely stores these passcode keys, so you don’t have to worry about those either. OME is included with the Office 365 Enterprise E3 edition ($20 per user, per month) or Office 365 Enterprise E4 ($22 per user, per month). For businesses that have a lower-level subscription to Office 365, OME can be activated by adding the standalone version of Azure Rights Management to the existing Microsoft Office 365 subscription. Adding Azure Rights Management comes with the not so hefty price tag of only $2 per user per month! So for an additional $2 per user, per month, you can get automated enterprise-level encryption for business emails for all members of your office. Are you interested in Office 365 Message Encryption or other aspects of migrating to Office 365? Privo IT is here to help! Contact one of our AWS Certified Solutions Architect today to get started.